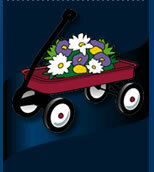 For more than 20 years of business, Red Wagon Landscaping has proudly been serving customers in Middlesex County. Specializing in landscape maintenance and construction, Red Wagon Landscaping provides top quality, unsurpassed work along with the service you deserve. They will take care of any property year round and will make sure that your project is completed in a timely manner. Chris Corrow, President of Red Wagon Landscaping, has been in the green industry since 1985. Previously, he worked for a landscape maintenance company and a garden center. In 1990 he founded Red Wagon Landscaping. At the time, he was still in high school and enjoyed working outside so much that he decided to make it his career choice. He wanted to make a difference in the landscape industry and set his company apart from the rest. Chris sharpened his landscaping skills by graduating from Purdue University with a B.S. Degree in Horticulture. Along with an internship at Monrovia Nursery in California, he also worked for two lawn maintenance companies in the Dallas, Texas area. He then formed what is now known as Red Wagon Landscaping. Chris and his reliable five-member team are committed to providing their customers with the utmost in personal service and pure satisfaction. Every piece of equipment used on your project is top-of- the-line, well maintained and always new. When it comes to wanting and expecting the best from your landscaper, you simply can’t beat the professionals at Red Wagon Landscaping. No landscape project is too big or too small. Always uniformed and ready, Red Wagon Landscaping employees demonstrate fine attention to details combined with years of experience. They will give you, the customer, everything you requested as well as peace of mind. 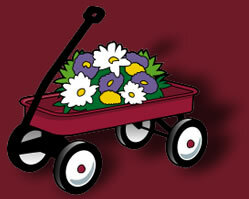 The first visit with the crew at Red Wagon Landscaping will be a rewarding one. Your needs and ideas will be discussed whereby Chris will document and sketch a plan. Upon meeting again, you’ll have the opportunity to see samples, such as paver styles. From there, you can find out how the job will proceed and when you can expect to see results.